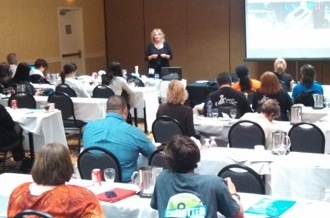 Kat Albrecht is a popular animal industry / animal control conference speaker. Since 2001 Kat has presented workshops at conferences on topics like unique techniques for recovering skittish dogs and cats, principles on how animal shelters can reduce intake of stray/lost cats, how to coach pet owners who’ve lost a pet, what pet detectives do and how to become one. Her conference credits include Animal Care Conference (California), American Humane Association Conference, NACA (National Animal Control Association), No-Kill Conference, No More Homeless Pets Conference, Texas Unites for Animals Conference, HSUS Expo, and several statewide conferences. Just a quick note to reinforce the GREAT presentation you gave at Texas Unites in Austin. I have been a “pet owner” all my life of horses, cats and dogs. I learned so much in that 90 minutes! A couple of days after the conference, my sister-in-law called and her cat Oreo was missing. So I grabbed your presentation and gave her advice. About an hour later she called. Mr. Oreo was HIDING in a very small space in one of the rooms being remodeled, still inside the house. If it wasn’t for your presentation, I would’ve directed her to search the whole neighborhood instead of a focused approach. After your course, we have changed our first reaction from “stray/dumped” and let’s “rehome” to “does this animal have an existing home?” Great advice! I recently attended Kat Albrecht’s workshop at the Texas Unites for Animals Conference in Austin, TX. 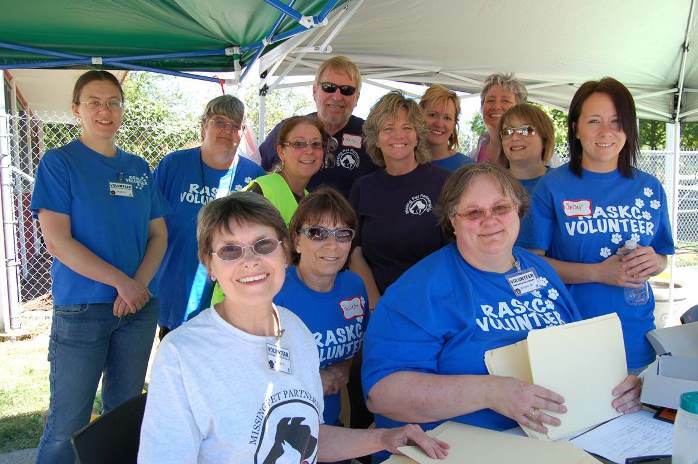 This was one of the best classes I have ever taken in over 15 years in my endeavors in animal welfare. I would like to compose a brochure that incorporates some of your tips and naturally, credit Missing Pet Partnership in the brochure. Tomorrow, I will be doing a presentation during our staff meeting as to what I thought was the most valuable thing I learned at the conference and it will be about Kat Albrecht’s class! Thanks so much to Kat and Missing Pet Partnership for wonderful information! I attended a conference earlier this year where MPP Founder Kat Albrecht spoke. As a person who actively volunteers and is involved with animals, I learned new ideas. Yesterday I encouraged one of our other volunteers to try to locate the owner of the cat she found instead of just turning it over to animal control. She had the shelter staff scan it for a microchip and found it was chipped! The staff members were in the process of reuniting the cat with its owners when I left the shelter last night. Thanks for instilling the idea in me that MOST STRAY ANIMALS are merely LOST ANIMALS separated from their owners. I’m the director of a local humane society that routinely recommends your website to our lost-and-found clients. This week I had the misfortune of having to use it for myself. A frightened little dog I had been fostering went to a new home in a nearby town. The morning after his adoption, he snuck out the door behind his adopter. She was frantic because he was too scared to let her catch him; he quickly disappeared into the neighborhood. AS SOON AS we hung big neon signs up in major intersections, we began to get calls. We were able to narrow his location down to the brushy hillside backyards between two streets. One day after our first calls, a lady called us. With her help, our Animal Control Officer set a humane trap and had the little guy in custody within hours. He is now curled up on my couch with my dogs, safe and sound. This is the second time I’ve had to help people search for their lost pets using MPP’s on-line advice. Both times, MPP was absolutely correct and we recovered the animals. This is an invaluable service. Thank you! In 2003 our shelter (MSPCA) took 203 missing cat reports and followed up on all of them. Only 7 of those cats were ever found. After attending MPP founder Kat Albrecht’s workshop on lost cat behaviors and reading her book (The Lost Pet Chronicles), I changed the way that MSPCA took lost cat reports. I included search techniques on the actual lost pet report so that when taking a call, staff would go over them with the owner of the missing cat. At the end of 2004 we had ended up talking to 207 owners of missing cats but this time 32 of the cats were found! Obviously there is still a lot of work that needs to be done but by simply coaching the owners over the phone we were able to increase the return rate significantly! Thanks Kat and Missing Pet Partnership! I attended Kat’s training a few years ago when it was held in Boston. As an Animal Control Officer, I get many calls for missing animals. Due to the skills I learned in Kat’s seminar, I am able to educate folks about lost cat behavior and many cats have been trapped within days of getting out of their home. Recently, I had a man call regarding his lost dog. I instructed him to put up the giant, neon signs at all of the intersections around where he lived. Today, I got a call about a found dog. A lady had seen the signs; the dog had been hanging out in her neighborhood two towns away. Thank you Kat for teaching me the skills to help reunite lost pets with their owners. In addition to workshop presentations, Kat also teaches a popular in-house 1-day shelter seminar called “Strategies For Increasing Shelter RTO’s”. This training teaches many of the principles taught in the MAR course but addresses obstacles that shelters face in their “RTO” (Return To Owner) rates. This seminar can be tailored specifically for animal coalitions, humane societies, animal shelter workers, rescue group volunteers, and animal organizations and is a perfect way to help a community work towards dramatically reducing the euthanasia of “stray” cats and dogs in communities. To book Kat as a speaker for your conference or to bring Strategies training to your shelter/ community, email info@katalbrecht.com.